I had photographed the following murals and graffities on October 19th,2013. 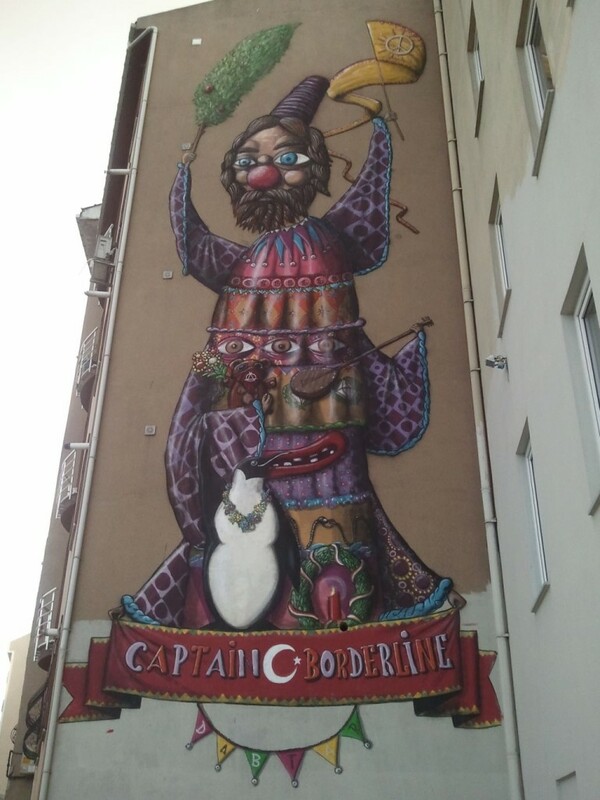 If you visit Istanbul, you can see them on the walls of the buildings in Kadikoy. The above mural is at the Kir Kahvesi street. Again, a mural from Kir Kahvesi street. 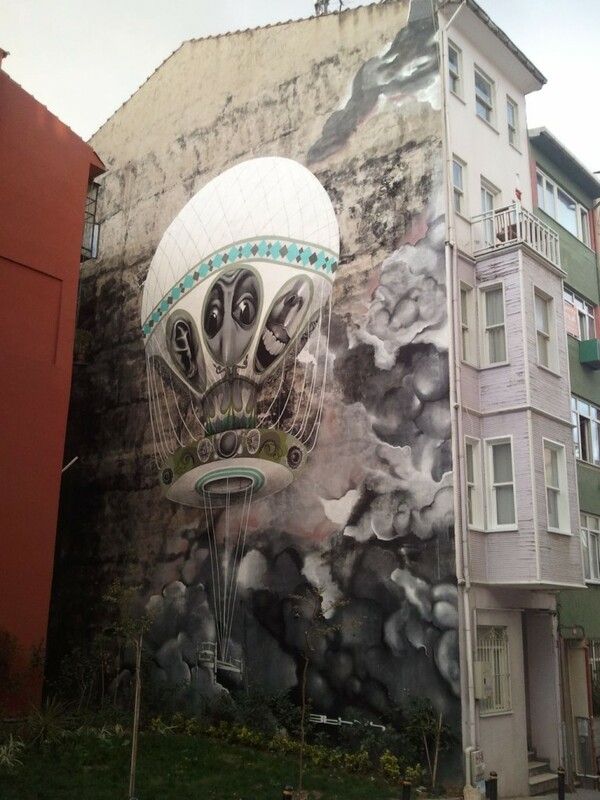 The murals above belongs to the concept of Mural-Ist Wall Painting Festival. The first paintings were made on 2012. This year the fourth festival is giving birth to new murals. The festival will be active in whole summer. 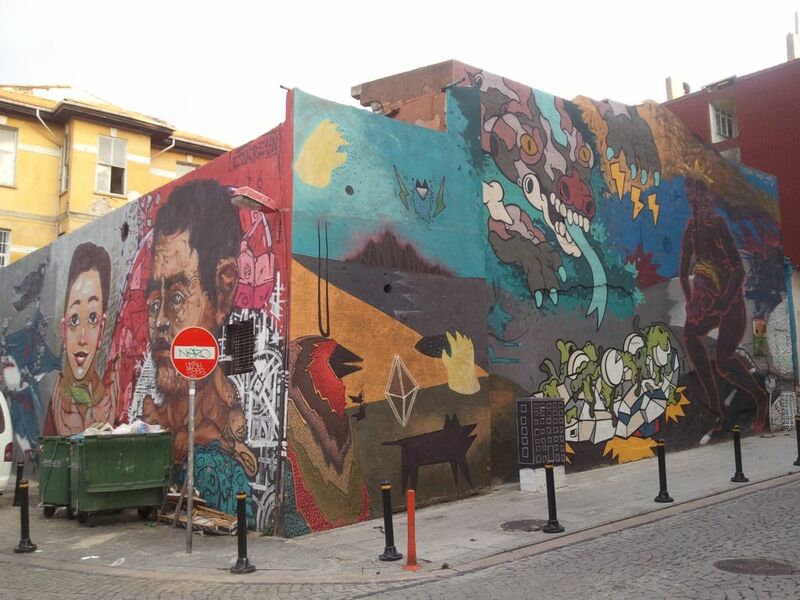 The walls will be enlightened by the new Murals of Kadikoy. Musical Instruments From Vegetables Can you count the horses?